I've been waiting for a new exam for BizTalk to appear since the "current" one has been for 2006r2 for quite a while. 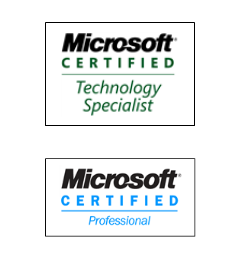 Today I took a new look and found that Exam 70-595: Developing Business Process and Integration Solutions by Using Microsoft BizTalk Server 2010 is available. The old exams for 2006 and 2006r2 are set for retirement this summer. Time to update the skills that I rarely (or never) use such as EDI and RFID and then it's off to take the test.